One of the most tightly kept secrets of professional locksmithing is the art of lock manipulation. With this technique, Locksmiths attempt to figure out the combination of the safe, so they can open it without damaging it. Certain rotary lock combinations can be discovered by sound or feel. 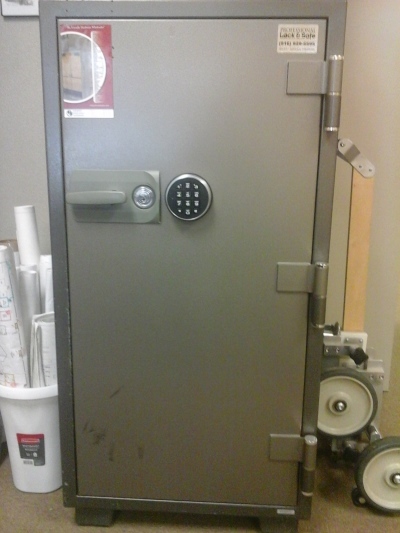 More complex safes add security by using lightweight wheels. False tumbler notches, or serrated wheels, make safe lock combinations tougher to detect by feel. Clutch-type driver wheels offer another type of combination security. A clutch-type driver will keep the fence from making contact with the tumblers, except for one position. You can identify these combinations either by the clicking sensation felt when rotating the dial or if the dial requires being pushed in before turning. Lock manipulation has become increasingly difficult and time-consuming over the years due to advancements in safe manufacturing such as the ones listed above. Fortunately, tools have been created to help professionals acquire safe combinations. These tools typically fit on the lock dial and help the locksmith accurately read the contact points to the left an right of the locks’ drive cam.